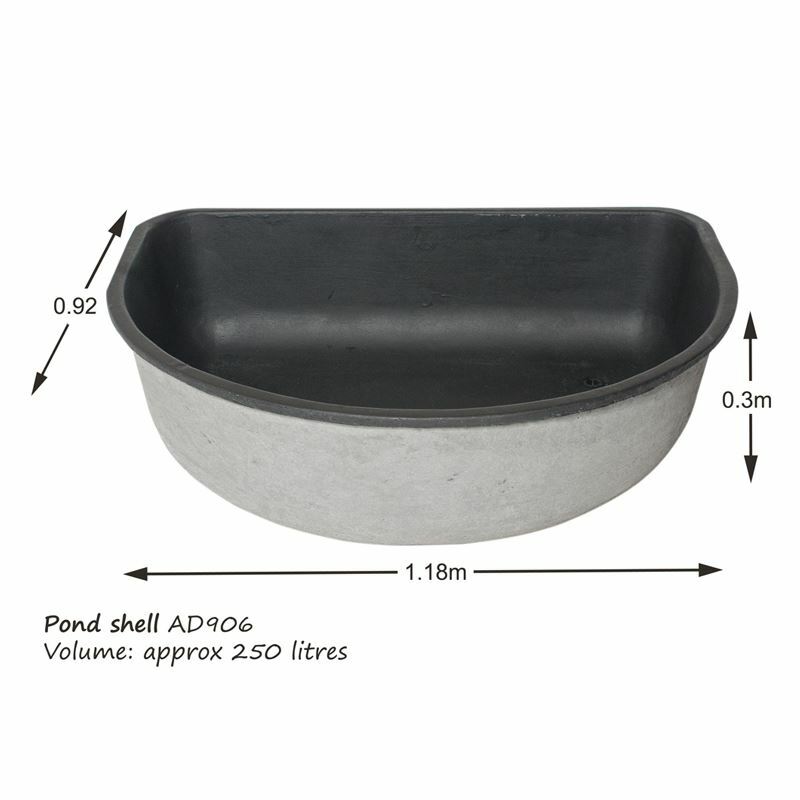 Adwater pond shells can be used to create your own water feature or lily pond. 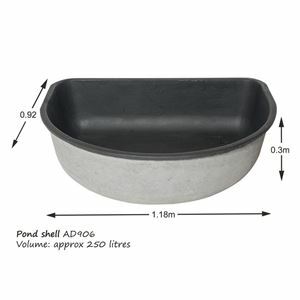 They are ideal for use with our waterfall rocks, or as a larger reservoir with any of our adwater feature sets. Adwater pond shells are manufactured from fibre reinforced cement, are rigid, and have a strength that enables them to be used above ground. They are light weight and easy to install. We recommend that they are bedded into 50-100mm thickness of semi dry sand and cement mixture and settled into it by filling with water, prior to the cement setting. Do not stand inside the ponds. Note: dimensions and volumes shown are approximate.